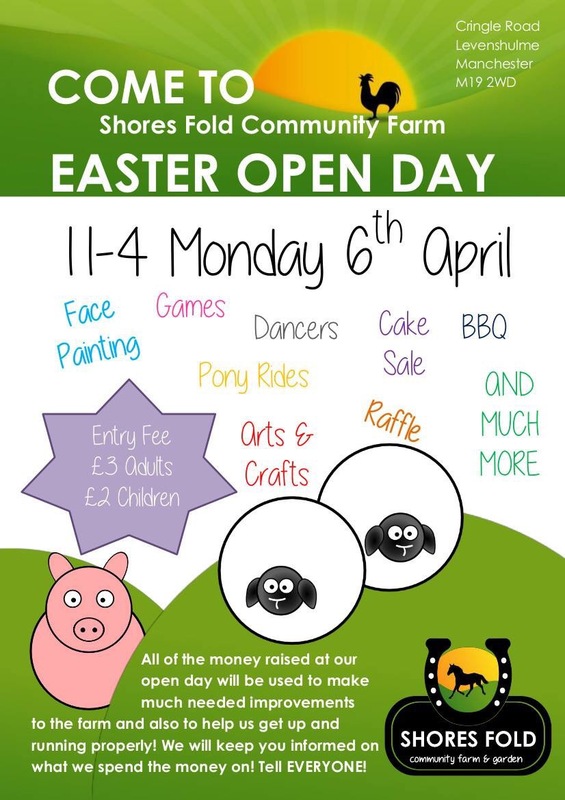 Shores Fold Community Farm (Cringle Road, Levenshulme, M19 2WD) are holding an Easter Open Day on Monday 6th April, 11.00-16.00. All money raised will be invested in improving the Farm for our community. This entry was posted in community, events, facilities by Jeremy Hoad. Bookmark the permalink.